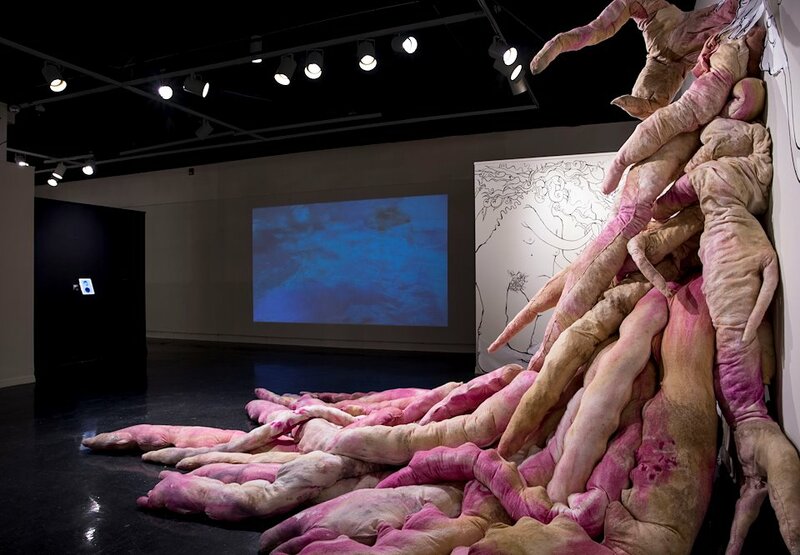 Sculpture 15' x 25' x 10', variable components made of cotton, coffee and beet dye, polyfil, chicken wire, shredded paper, mdf. 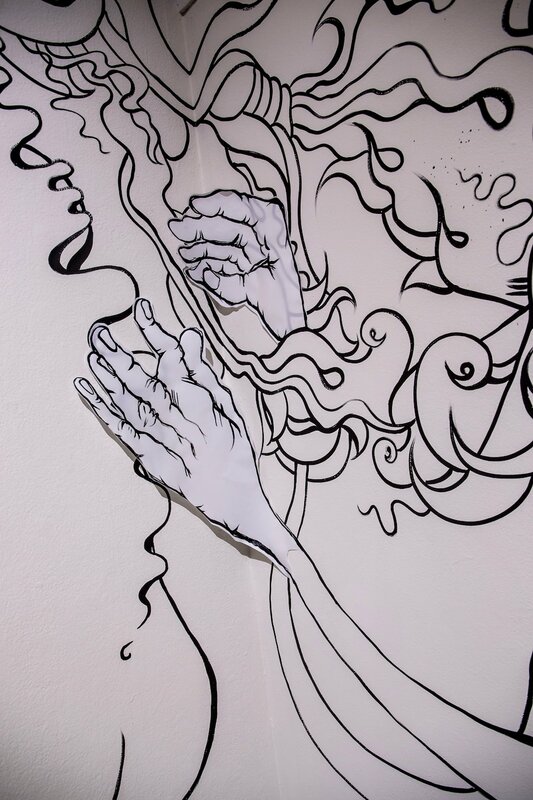 Mural 40' x 12'. Montana Liquid Acrylic, hands and feet are vellum. Subjects to Change was the name of our 3-woman Thesis exhibition. May 2016. 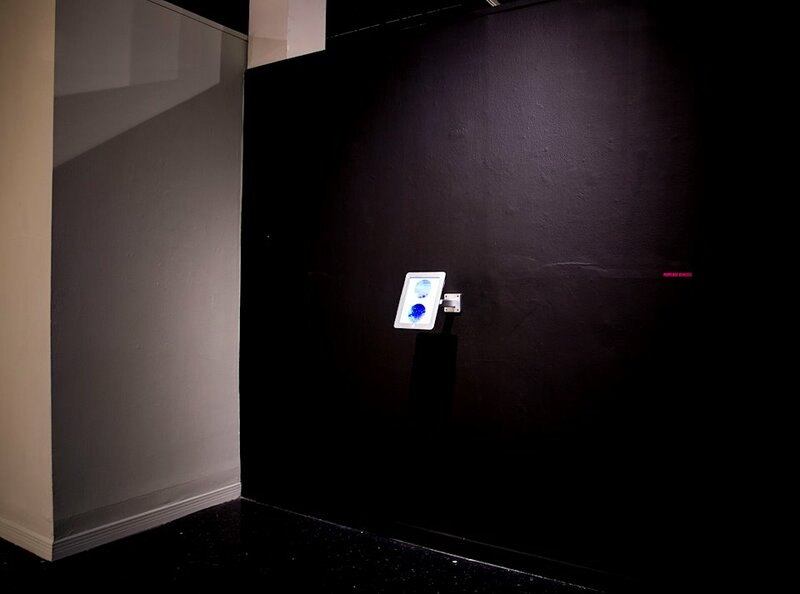 My thesis exhibition Body of Love was a multi-media installation including sculpture, video, gif, and mural painting. 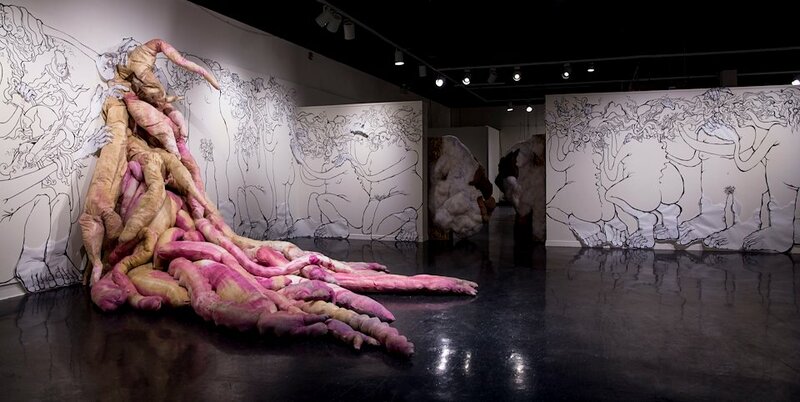 My work asks questions concerning the body, identity, and the formation of female subjectivity in response to sexual violence. Body of Love explores shame, silencing, and healing through the cultivation of power and pleasure by processes of art making. 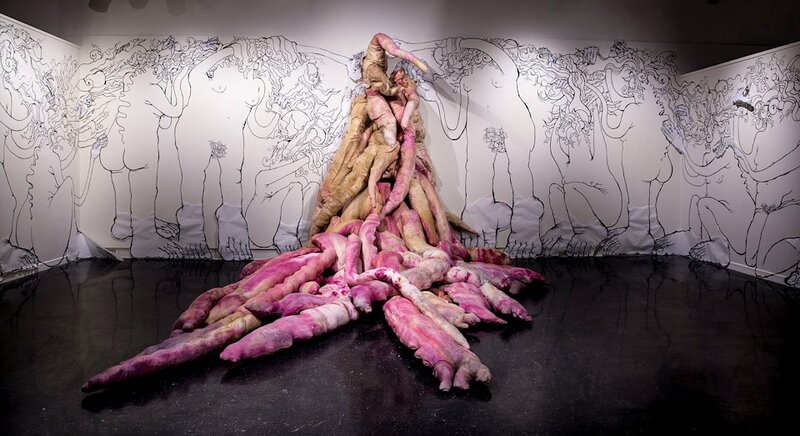 How can art represent growth and facilitate recovery in our highly sexualized, individualistic, objectifying culture? My work asks viewers to consider love as the ultimate weapon of transformation.